25mm Medium Duty Flat 90° Bends, for cable installation / management. Available to suit 50mm, 75mm, 100mm, 150mm, 225mm, 300mm and 450mm width tray, with a choice of Pre Galvanised or Hot Dip Galv finishes. 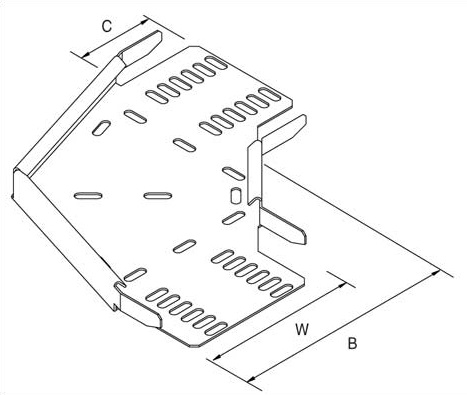 To suit 50mm up to 450mm width tray.